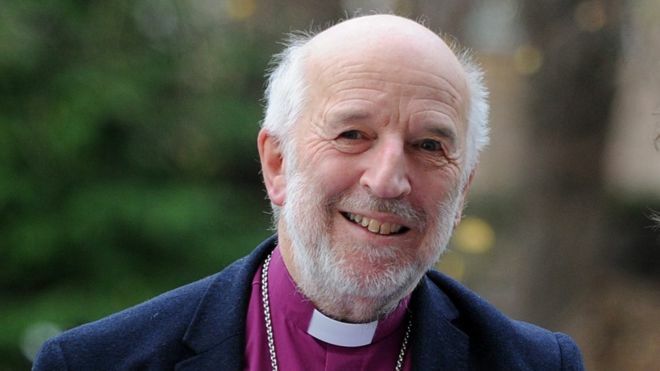 The Right Reverend David Chillingworth, who was Bishop of Saint Andrew’s, Dunkeld and Dunblane in the Scottish Episcopal Church, and who was Primus (Presiding Bishop) of that Church from 2009 until 2016 will spend Holy Week 2018 in Cork, Cloyne and Ross visiting his Cork roots. He will preach at the Holy Week Services in the parishes of Douglas Union with Frankfield. Bishop Chillingworth’s links with Cork and with Douglas go back through his father’s family. His grandfather was Rector of Carrigtwohill and of Corkbeg and Inch. The family graves of previous generations are in the churchyard in Douglas. Bishop David Chillingworth, former Bishop of Saint Andrew’s, Dunkeld and Dunblane, and former Primus of the Scottish Episcopal Church. Within the Anglican Communion of Churches, the Scottish Episcopal Church is the sister Church in Scotland of the Church of Ireland. Of course, the links between Irish and Scottish Christianity long predate modern connections and are rooted in the life of the early days of Christianity in these islands: Saint Columba, Saint Colmán of Lindisfarne, Saint Conval, Saint Ernan, Saint Finan, Saint Fillan, and Saint Ninian. Saint Machan was educated in Ireland. Saint Molaise of Leighlin was raised in Scotland. Even the name of Saint Fin Barr of Cork was carried to parts of Scotland, by that saints students, and is reflected in some place names there. I was delighted when Bishop Chillingworth accepted my invitation to be our Holy Week preacher in Douglas Union with Frankfield this year. I was aware of his family roots in Cork and when I heard he was retiring, I thought it an ideal opportunity to have him revisit the parish and diocese. He is someone who has served the Church with great distinction, vision and courage both in Northern Ireland and in Scotland. We look forward to a stimulating and thoughtful Holy Week in Douglas, as each evening in St Luke’s Church, he leads us through the events and drama of the Passion. The full schedule of Services in Douglas Union of Parishes with Frankfield may be found HERE. All are welcome. Bishop Chillingworth will also be the preacher at the annual Diocesan Chrism Eucharist in the Cathedral Church of Saint Fachtna, Rosscarbery on Maundy Thursday at 12 noon. All are welcome. This entry was posted in Anglicanism, Announcements, Church Services, Holy Week, Liturgy, Maundy Thursday, Parish News, Special Events. Bookmark the permalink.